The Prospectors recently visited Shropshire Quads to try out an electric quad bike. We took a hill farmer friend with us for his specialist experience (of quads, hills and sheep!). Whilst impressed with the quad’s performance and likely towing and hill climbing ability, we found the gear arrangement ergonomically awkward (inherited from the petrol version of the same model) and the farmer was unsure whether, at peak lambing season in the Welsh hills, the range of 20 miles would be enough. We are now planning to log some actual hill farmer quad use to get a more realistic insight into daily mileage and usage patterns and that should help us see if a farmer quad bike trial makes any sense. You can read our first evaluation of the Eco Charger Eliminator Quad here. 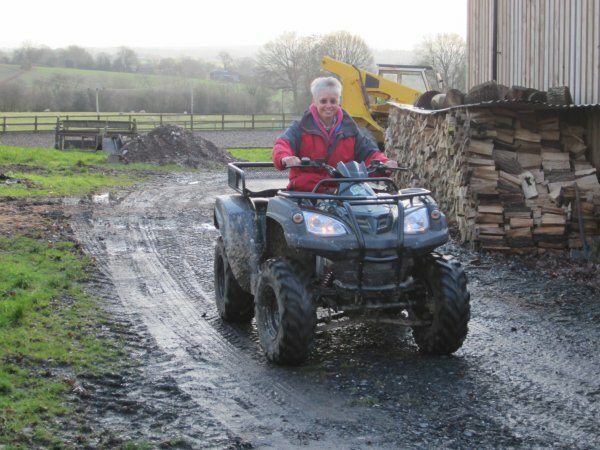 This entry was posted in Technology and tagged electric quad bike, evaluation, Shropshire quads. Bookmark the permalink.